HLA is dedicated to developing the next generation of women leaders to ensure greater economic success and parity in Science, Technology, Engineering and Math (STEM) in Africa. 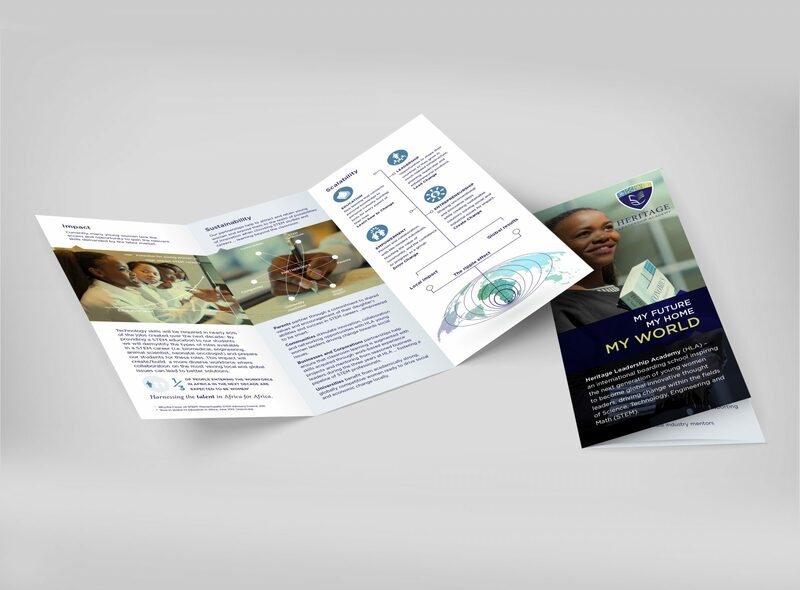 The brief was to design a brand that reflected the STEM subjects as well as the leadership and growth potential that the academy affords students. The brand encompassed several ideas – growth, learning, potential and the STEM subjects. The emblem was chosen to be symbolic of pride and respect in the leadership academy, by students, alumni and academics alike.